On July 31, 2015 the CSL Group and its Affiliates acquired the influenza vaccines business of Novartis AG in the US. 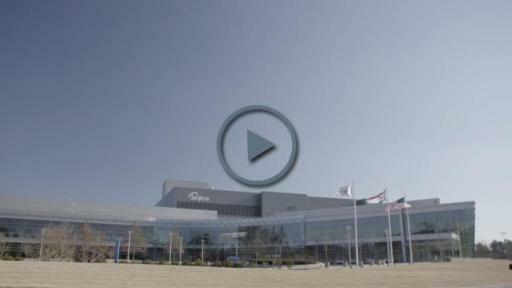 The influenza vaccines business, previously owned by Novartis, has been integrated into CSL’s influenza vaccine business and now operates as Seqirus. 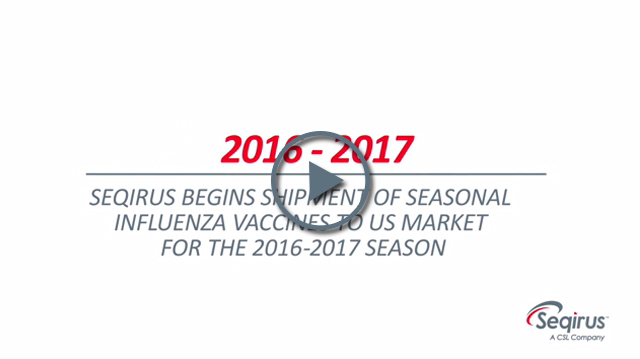 Seqirus is now shipping its complete portfolio of seasonal influenza vaccines to customers in the US market for the 2016-2017 season. Seqirus is the only influenza vaccine manufacturer to produce influenza vaccines using both egg-based and cell culture technologies, and the only provider in the US that offers both quadrivalent and trivalent influenza vaccines, as well as the only adjuvanted seasonal influenza vaccine. 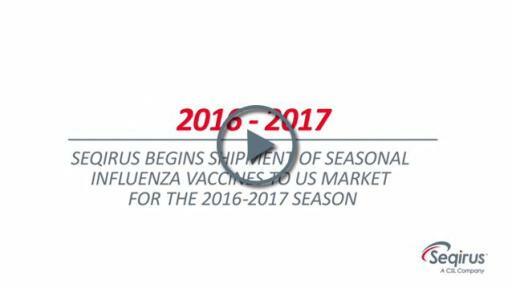 Seqirus is now shipping to the US all influenza vaccines in its portfolio, including Fluad™ (Influenza Vaccine, Adjuvanted), Flucelvax Quadrivalent™ (Influenza Vaccine), Afluria® (Influenza Vaccine), and Fluvirin® (Influenza Virus Vaccine) in advance of the peak of influenza season. Please see accompanying US Full Prescribing Information for AFLURIA. Please see accompanying US Full Prescribing Information for FLUVIRIN. Centers for Disease Control and Prevention (CDC). Key Facts About Seasonal Flu Vaccine. Available at: http://www.cdc.gov/flu/protect/keyfacts.htm. Accessed April 2016. U.S. Food and Drug Administration. “FDA approves first seasonal influenza vaccine manufactured using cell culture technology.” Available at: http://www.fda.gov/NewsEvents/Newsroom/PressAnnouncements/ucm328982.htm. Accessed April 2016. US Department of Health & Human Services. “A milestone in protection from influenza.” US Department of Health and Human Services website. Available at: http://www.hhs.gov/news/press/2014pres/06/20140617a.html. Accessed April 2016. AFLURIA (Influenza Vaccine) [prescribing information]. Cambridge, MA: Seqirus; 2016. FLUVIRIN (Influenza Vaccine) [prescribing information]. Cambridge, MA: Seqirus; 2016. CDC. “People at High Risk of Developing Flu–Related Complications.” Seasonal Influenza (Flu) 2016. Available at http://www.cdc.gov/flu/about/disease/high_risk.htm. Accessed on June 2016. CDC. “Flu Vaccine Benefits.” Available at: https://www.cdc.gov/flu/pdf/freeresources/general/flu-vaccine-benefits.pdf. Accessed June 2016. Thompson WW, Shay DK, Weintraub E, et al. Influenza-associated hospitalizations in the United States. JAMA. 2004;292(11):1333-1340. 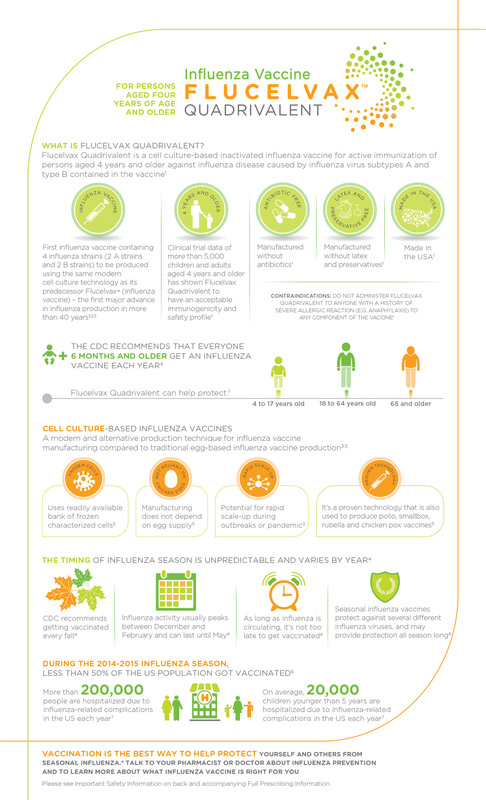 FLUAD (Influenza Vaccine) [prescribing information]. Cambridge, MA: Seqirus; 2016. 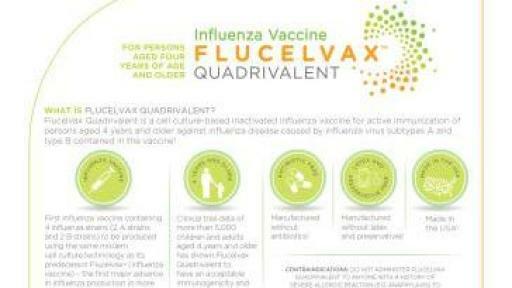 FLUCELVAX QUADRIVALENT (Influenza Vaccine) [prescribing information]. Cambridge, MA: Seqirus, Inc. 2016. 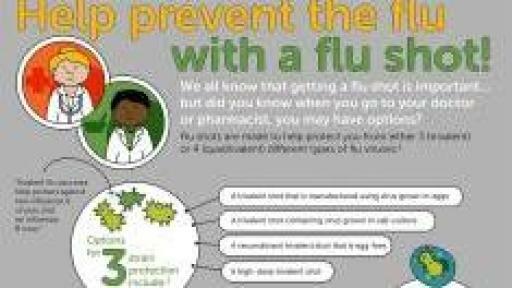 Help prevent the flu with a flu shot!